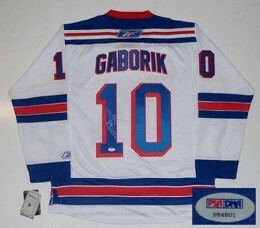 Marian Gaborik cards and autographed memorabilia certainly have room to increase in value. Selected with the third overall pick by the Minnesota Wild in the 2000 NHL Entry Draft, he also played for the Rangers and Columbus before landing with the Kings. As a key part of a deadline trade that moved him to Los Angeles, Gaborik may have found himself a permanent home and one that gets him more attention. The Kings' frequent postseason success has been bolstered with Gaborik's scoring abilities. On the flipside, by playing in such a big market on a successful team should help the values of Marian Gaborik cards and memorabilia. 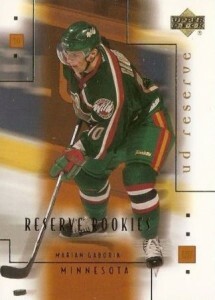 Marian Gaborik has a total of 25 rookies cards. They were released in various 2000-01 products. Several of the cards are serial numbered although none are autographed or contain memorabilia. 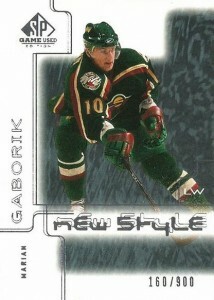 Gaborik's first certified autographed cards were inserts issued in 2000-01. His first game-used memorabilia cards debuted the following year. He has cards in multiple 2001-02 products. One of the most popular is a card from Be A Player Signature Series. It is serial numbered to 10 and combines a game-used jersey swatch and autograph. 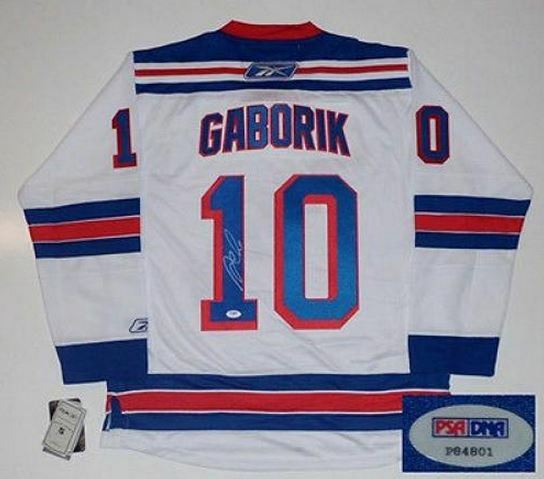 Marian Gaborik's autographed memorabilia has seen up and down fluctuations in the market. A potential increase in demand should see the value of his signed memorabilia items increase over time. 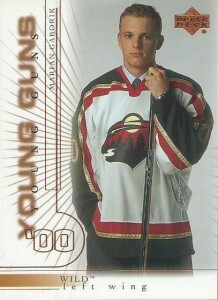 Gaborik's Young Guns rookie card is very popular with professional grading. Those that come back with high grades can result in big value boosts. The card is a short print and it's not the most plentiful card today. While 900 might seem like a high number, it doesn't detract from collector's desire for this card. It was also released some time ago so much of the supply has made its way into more permanent personal collections. The SP Authentic brand and its Future Watch subset have a loyal following. 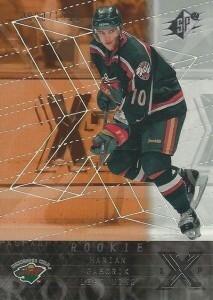 This card of Gaborik is no exception. BGS 9.5 MARIAN GABORIK 2000 01 Stadium Club ROOKIE Card KINGS! BGS 9.5 MARIAN GABORIK 2000 01 UD Upper Deck Vintage ROOKIE Card KINGS! BGS 9.5 MARIAN GABORIK 2000 01 UD Upper Deck Heroes #166 ROOKIE KINGS! 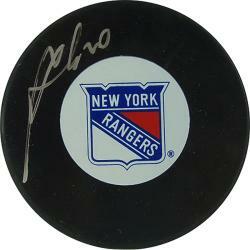 Below you will find examples of what an authentic Marian Gaborik autograph looks like. This can be used as a first point of reference for determining the legitimacy of autograph memorabilia, but is not a substitute for having your items authenticated by a well-respected professional autograph authentication company. Some of the trusted sources within the sports memorabilia market include the following companies: PSA, JSA, and Mounted Memories. Click on any of the images below to view full size photos. It is very quickly written and consists of just a few characters. It is recommended that authentic examples be used in comparison to those items collectors may be looking to purchase. Two, nearly parallel lines, on a 45-degree angle are connected by a triangle shape. A line coming off of the triangle flows horizontally to create a "P"-like shape. His jersey number "10" is often present.